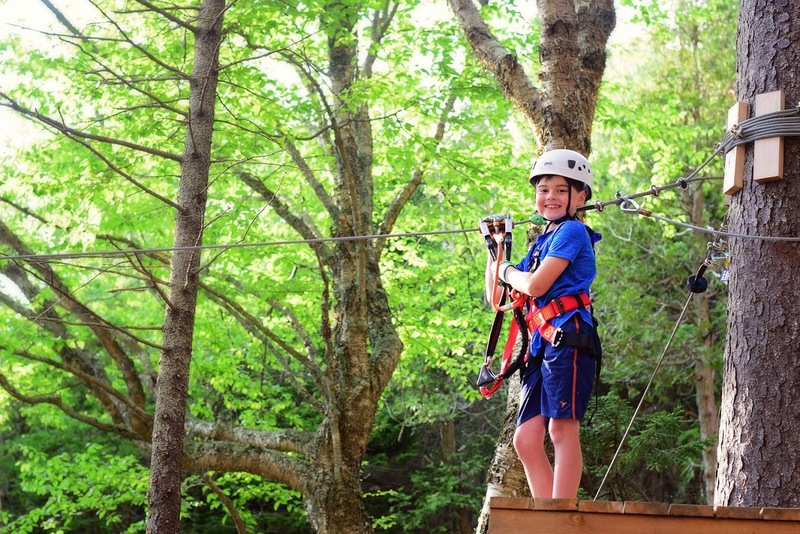 Climb, hop & zip on up to 11 courses! Special adventure available for those 5 and up. Flying Squirrel now included in Go Wild! Our season opens on May 11th! Online booking is now available. ‘Go Wild’ for up to 3 hours on an adventure containing up to 11 courses with over 100 obstacles including over 20 zip line challenges! Also includes unlimited Flying Squirrel jumps! Group Discounts also available starting at group sizes of 10 or more. Please note: To participate in a ‘Go Wild’ Adventure you must weigh between 45 and 270lbs, be 8 years or older and be able to reach up and touch 5′ 3″. 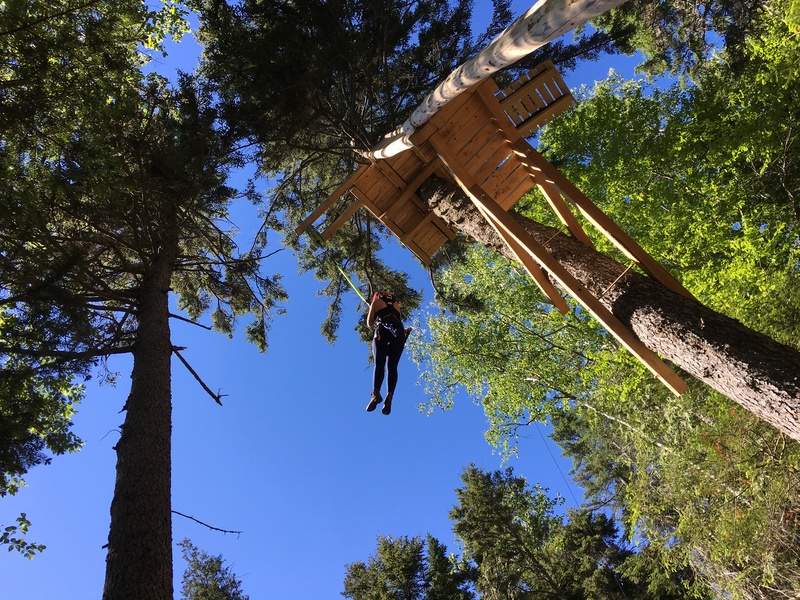 We also have the ‘Low N’ Go’ Adventure available for ages 5-7 (and their supervising climbers) as well as those who prefer challenges a bit closer to the ground. 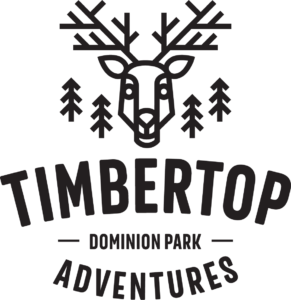 À TimberTop Adventures, il nous fera plaisir de vous servir en français. Consultez notre brochure pour de plus amples renseignements au sujet de notre parc! Went to Timber Top Adventures on opening day. Great experience. Organized and great staff - Claire and Alex were awesome! Had fun at TimberTop? Upgrade your ticket to a Seasons Pass! Individual admission value can be applied SAME DAY towards a seasons pass. Ask us for more details 🙂.